Massachusetts also has natural symbols. Read more below to learn about these. 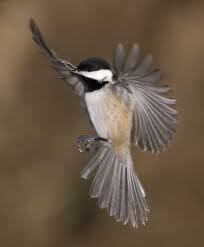 Massachusetts' state bird is the Black-Capped Chickadee. Adopted in 1941, the chickadee got its name because some people thought it sang, "Chickadee-dee-dee." Also the top of its head is black, which explains why it's called the Black-Capped Chickadee. These small birds (only 5-6 inches long) make their nest in trees, stumps, and even fences and can lay 6-8 eggs. Massachusetts' state horse is the Morgan. It is a small, strong horse that was adopted as the state horse in 1970. This horse can be 57-67 inches high as an adult and can also weigh 900-1100 pounds. They are a reddish brown, brown, or black color and are calm and smart. These Morgans were used as police horses. The American Elm is the state tree of Massachusetts. Adopted in 1941, these trees can be 65-120 feet tall. They have a gray bark and green, oval-shaped leaves. 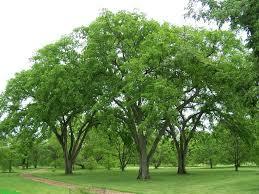 The wood of an American Elm is very strong and is sometimes used to make furniture. The American Elm may have been adopted because George Washington stood under an American Elm when he was in command of the American army. Massachusetts' state dog is the Boston Terrier, which is abundant in Massachusetts. This symbol was adopted in 1979. Boston Terriers are very intelligent and active dogs that are wonderful companions. This dog was bred in Boston to hunt for rats. These dogs can weigh under 15 pounds up to 25 pounds. Finally, this dog can be groomed easily.